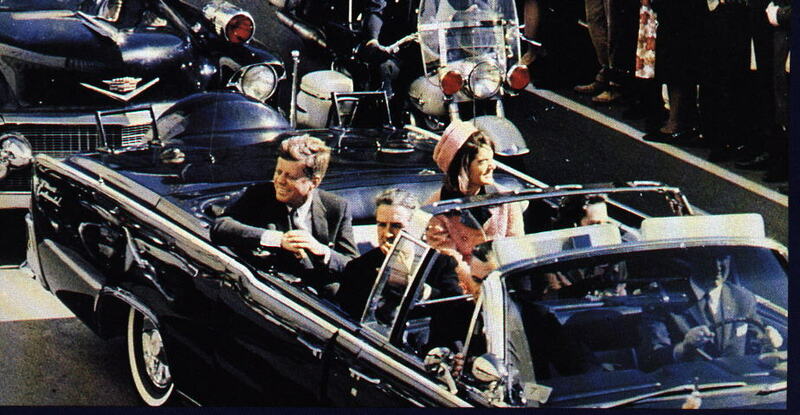 Living in the Past: The shooting of JFK was another of those incidents so life stopping that people remember what they were doing at the time. I was a college freshman in the Autumn of 1963. I was part of the Pioneer Class at Michigan’s newest state college: Grand Valley. It was incorporated in 1960 and we were in the first class that September. All of us had been invited out to see the new campus that summer. Everything seemed fresh and new…and small. Parking lots weren’t paved. There were only a few buildings completed. The staff and all us students were just getting used to each other. September had passed and then October. Then two thirds of the way through November, it happened. Something like a cloud of gloom fell on the room as I looked from face to face to see what could be done. It felt like someone had popped our bubble. He was so young and seemed to embody a new kind of thinking in our country. He had asked us not to think of what we could get from our country, but how we could serve it. He had ignited our hearts. Why would someone want to kill him? Tomorrow is the 49th anniversary of a dreadful experience which sobered my youthful enthusiasm into realizing that evil does exist and evil men can still be at times victorious. This entry was posted in Country, Evil, Famous People, Fear, Feelings, Grief, Happiness, John Fitzgerald Kennedy, Life, Memory, Morals, Patriotism, Perspective, Politics, Suffering, Worry and tagged Country, current-events, Fear, Grief, Loss, Memory, politics, Stress, Suffering, Trust, Worry. Bookmark the permalink. Oh, that brings back some memories. Good post.